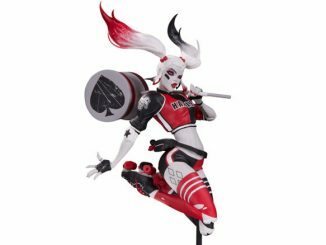 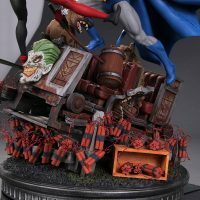 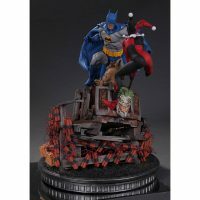 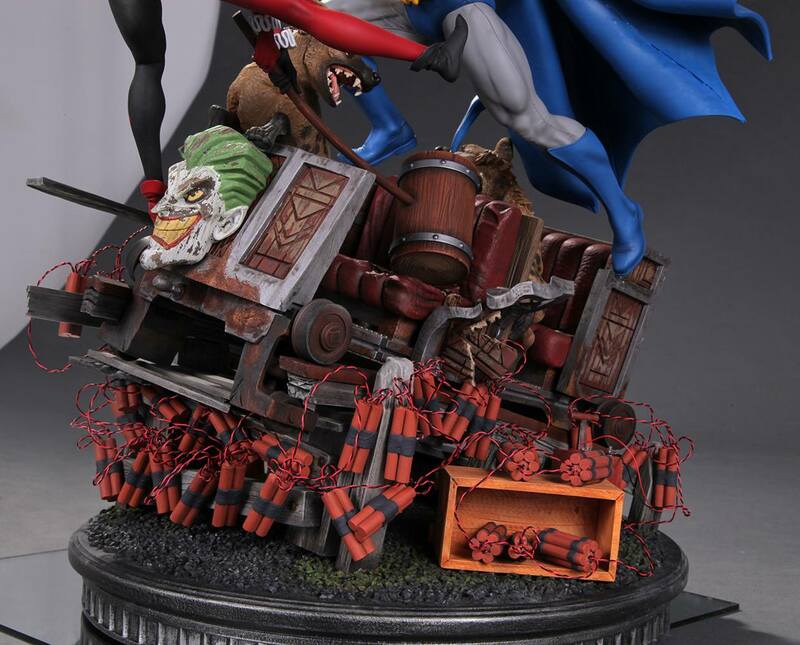 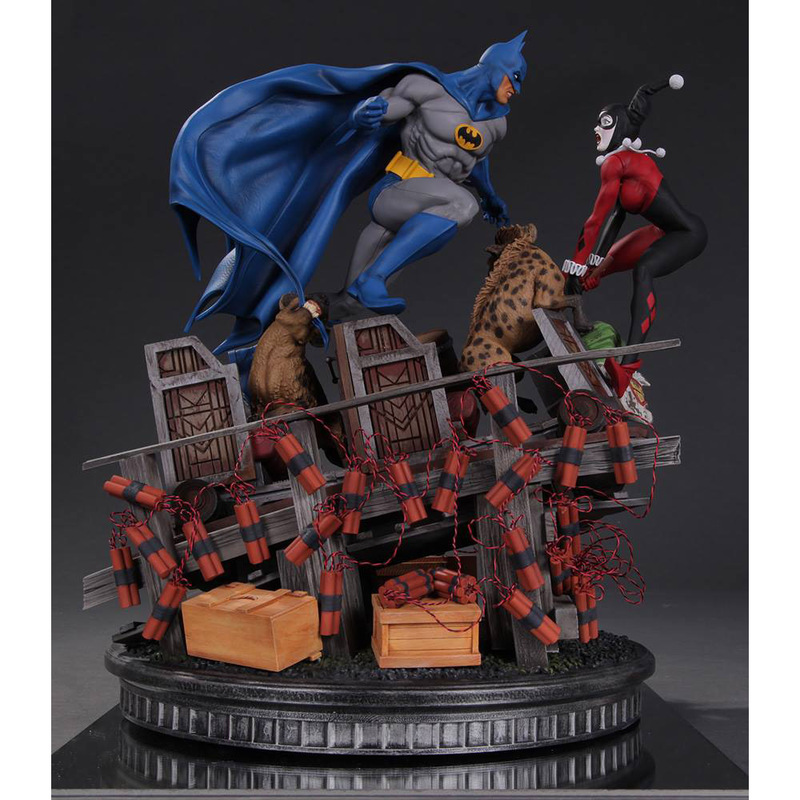 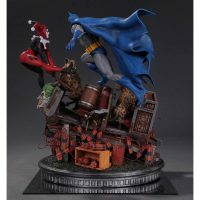 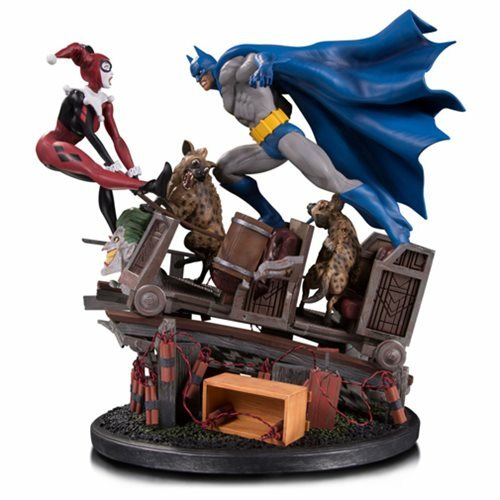 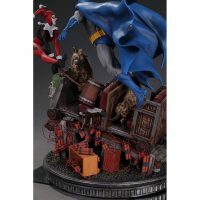 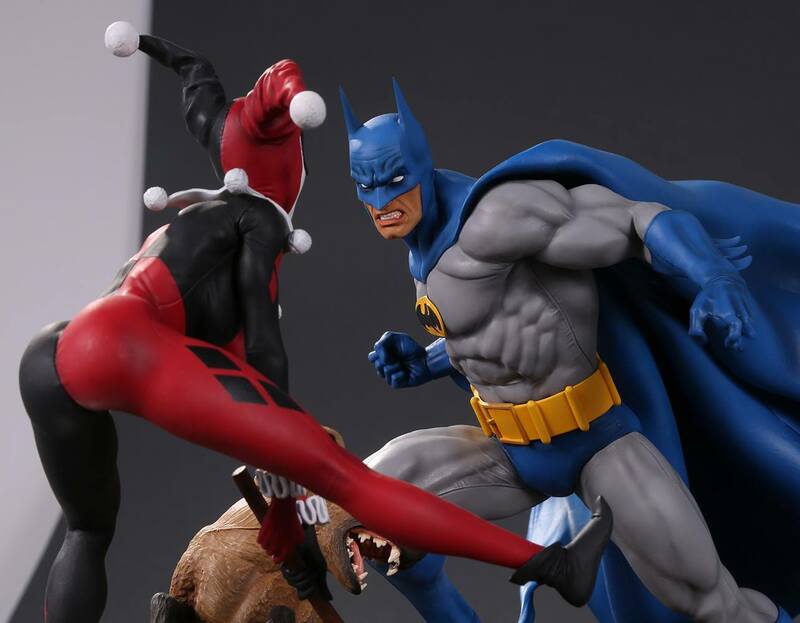 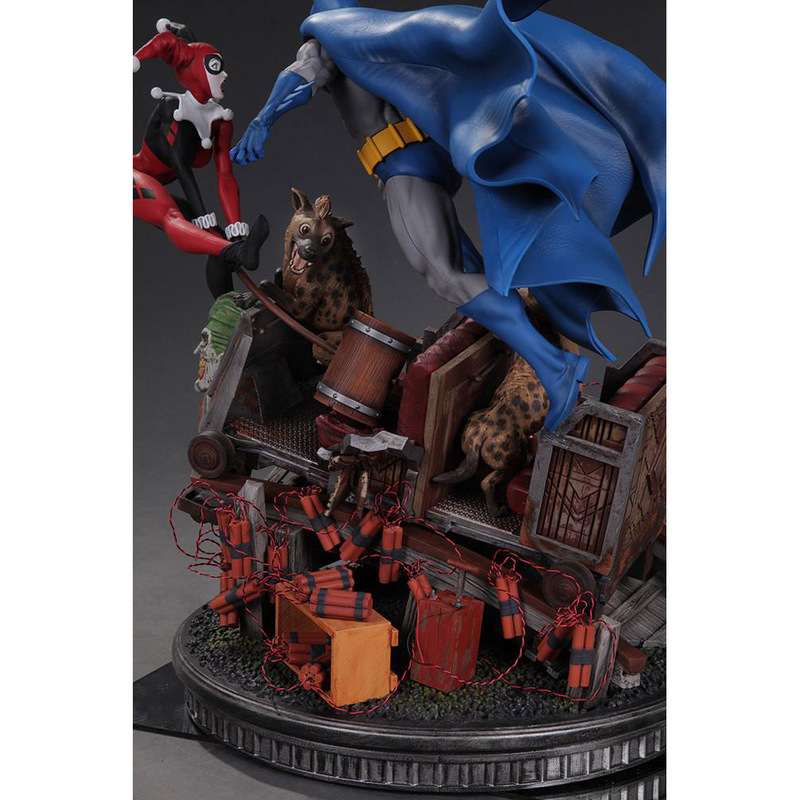 The Dark Knight and the Clown Princess of Crime have a wild roller coaster ride on the Batman vs Harley Quinn Battle Statue. 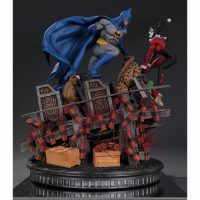 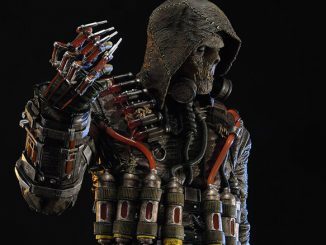 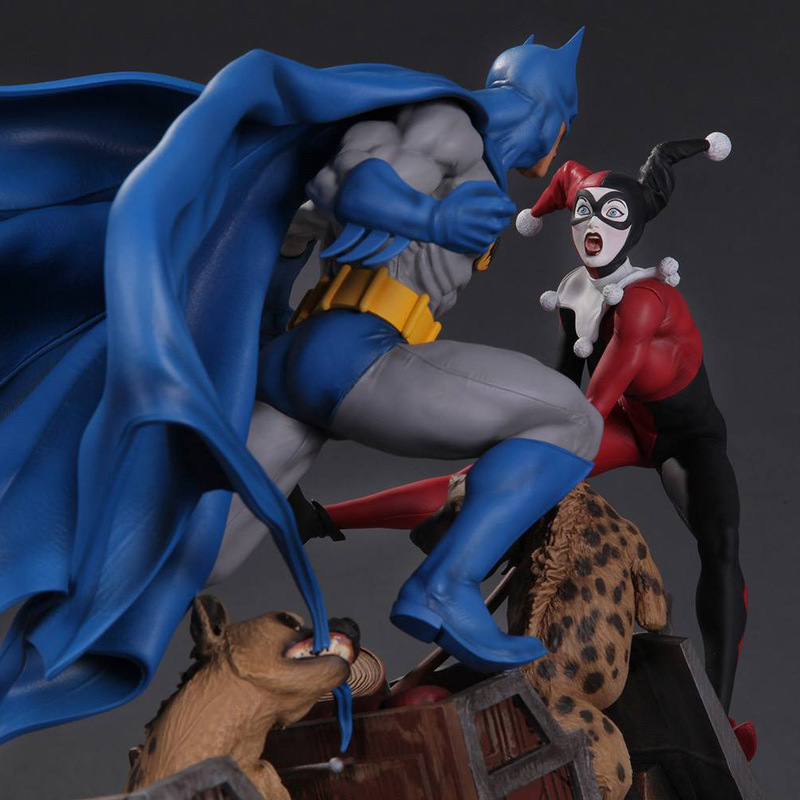 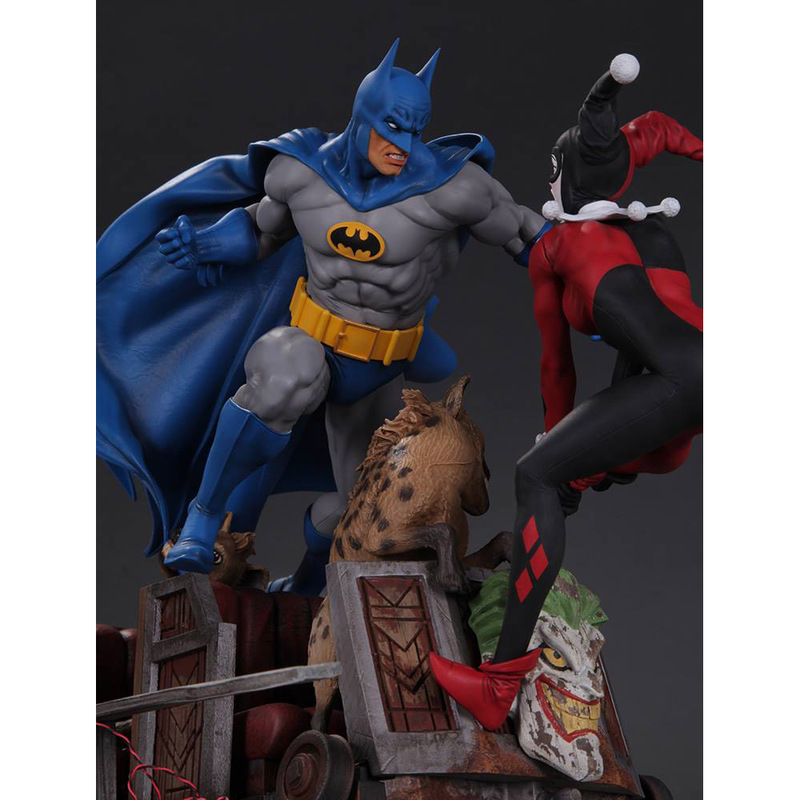 Standing 14-inches tall, this eye-catching statue features eye-catching details like Batman’s grim determination, Harley’s shock as being confronted by the Dark Knight, and even the wide-eyed looks of Harley’s hyena pets as they do their part to defend their owner. 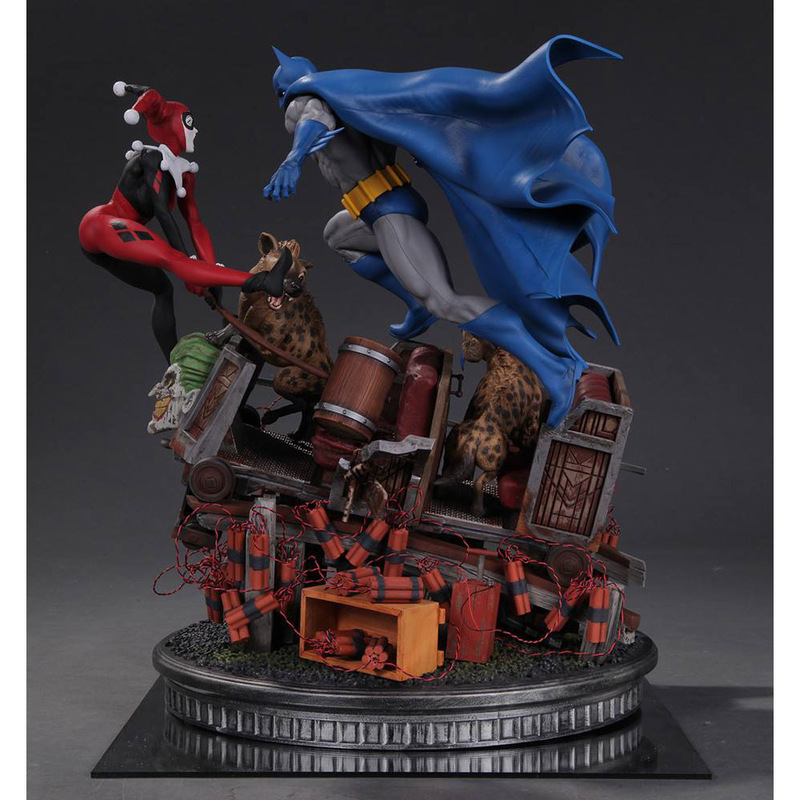 The statue is limited to just 2500 pieces. 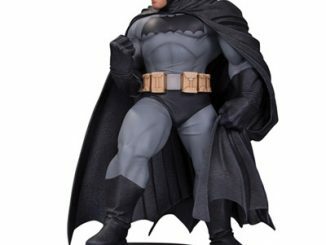 Coming in October 2017. 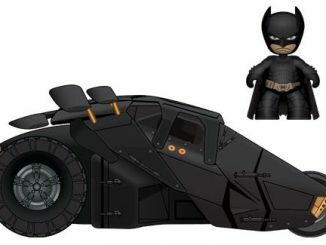 Pre-order now for $319.99 at Entertainment Earth. 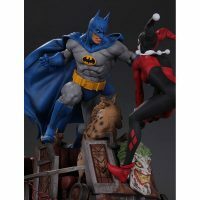 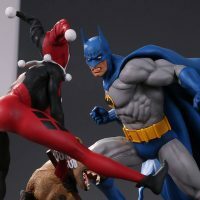 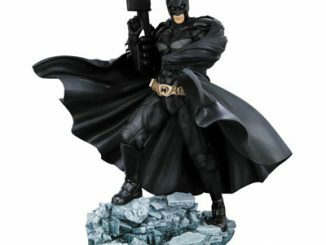 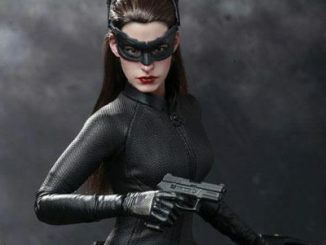 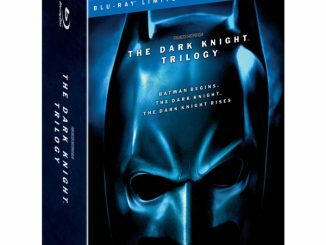 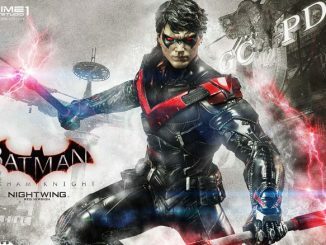 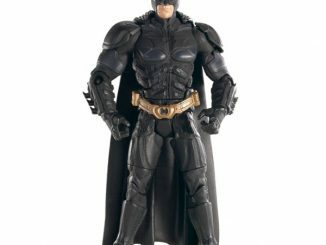 Find great deals and low prices on DC Comics merchandise at Rout.com.